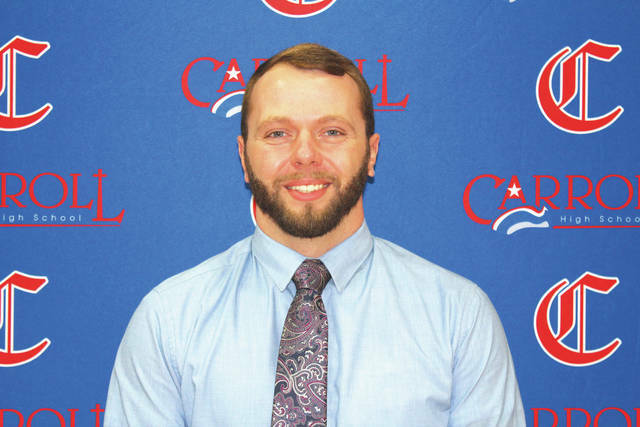 RIVERSIDE — Carroll High School has selected current assistant coach and social studies teacher Cody Byrd as the varsity football team’s eighth head coach. Byrd takes over all football operations, effective immediately, replacing former head coach Ben Rulli who resigned from the position in January. Since joining the football program in August of 2017, Byrd has served as the special teams coordinator, pass game coordinator, and wide receivers coach. Prior to joining the staff at Carroll, Byrd was the assistant for safeties and wide receivers at Eaton High School from July 2013 through December 2014. Byrd was also an active duty member of the United States Army as a Staff Sergeant stationed in Fort Bragg from May 2006 through June 2012. Byrd was directly responsible for training soldiers, managing more than $2.6 million of equipment, and conducting performance reviews of his subordinates. Byrd also served two combat tours (27 months total) in Afghanistan. Byrd has a Bachelor of Arts Degree in Social Science Education (Adolescent to Young Adult) and Master of Education in Integrated Social Studies from Wright State University, maintaining a 4.0 GPA in both courses of studies. Last season, Carroll finished with a 6-4 record and barely missed the postseason playoffs. The Patriots were eliminated from playoff contention in the final week of the season. Greater Catholic League Co-Ed records go back to the 2013 season. Carroll’s 6-4 record was the school’s only winning record during that span. Story provided by Carroll High School.